Firefox Exploitable Through Popular Plugins Such As NoScriptSpotify Hack? Here are the instructions to uninstall QuickTime for Windows via the Windows Programs And Features interface. 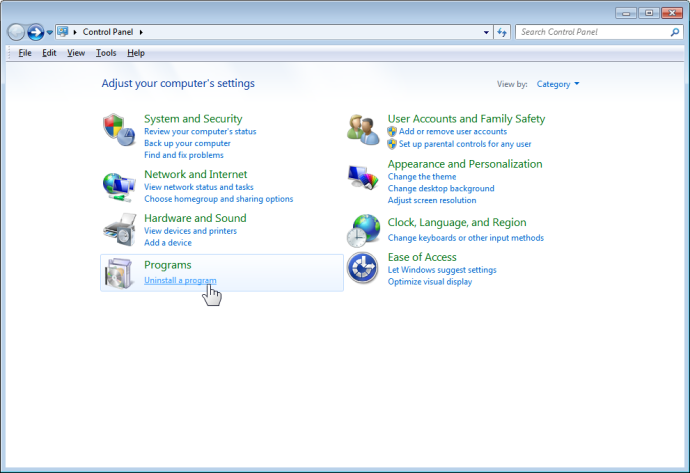 Click the Start Menu, then click the Control Panel, and click on Uninstall a program under Programs. In the list of programs, highlight QuickTime For Windows, and then choose Uninstall. At this point QuickTime 7 and the Browser plugins will be removed. Google Chrome and Firefox will periodically download a list of safe plugins, and we expect that both organizations will soon automatically disable the QuickTime plugin. If you need a more complete script that can be deployed to automatically remove QuickTime across a large network of computers, including all intermediate point, please get in touch with us on our Contact page. Our support team members created the script below which removes all releases all from version 7.5 (released in 2008) to 7.7.